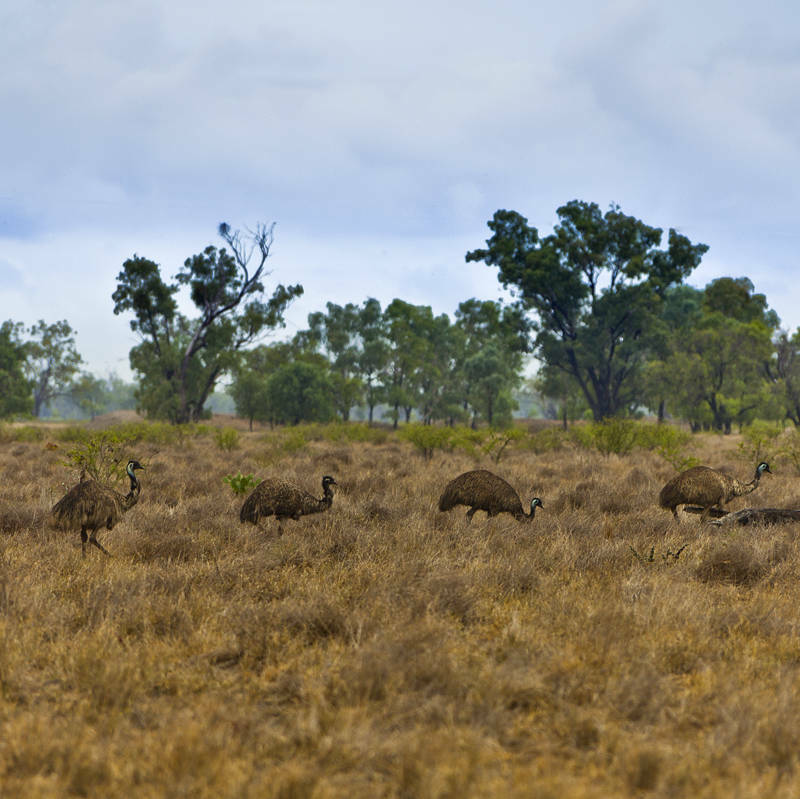 We saw this family of Emus at the side of the road as we drove along the southern edge of Queensland today. Unlike Australia‘s bouncing animals, these elusive birds are a rare sight on Aussie roads. It is a strange experience to see what you think is a bush suddenly sprout legs and start lolloping over the horizon like some possessed shag pile carpet. We are heading to Broken Hill in New South Wales, via Lightning Ridge and Bourke, and then move in a straight line towards Sydney to catch our flight back to the UK.